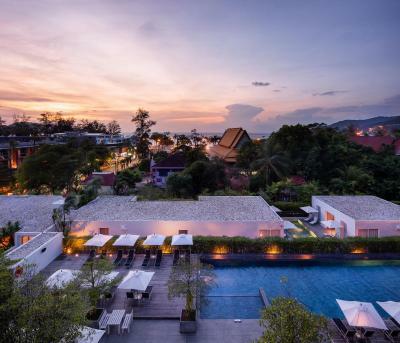 Lock in a great price for X2 Vibe Phuket Patong Hotel – rated 8.7 by recent guests! Great breakfast; big, clean and comfortable rooms; activities agency in the hotel very helpful; pool is nice and quite; spa was amazing and in general a great vibe. 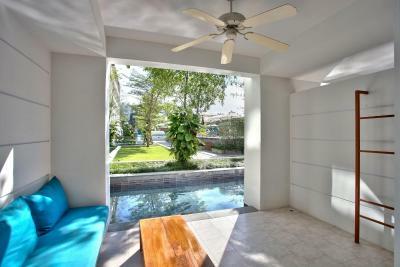 Location was excellent near to Patong Beach but far from the noise of both street and bars. Staff were very friendly and available for any help. Clean, modern and spacious hotel in a quiet street close to all the action. 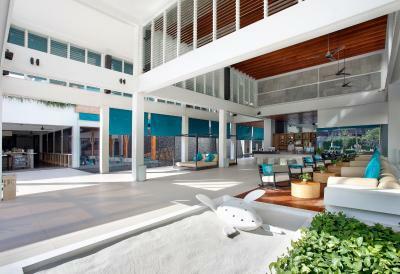 Has a decent pool area and ground floor lounges. The room was so spacious and well divided, it had a great balcony with a fan and clothes rack. The breakfast was great and had a good variety. The location is great near the sea but away from the noise. The staff are very helpful. The room is energy efficient, if the balcony window was left open for 15 mins the A/C would shut off automatically. I love this hotel. Stayed here for the second time and was glad I did. 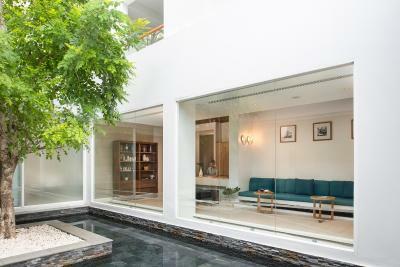 Very nice open tropical layout with water, fans and greenery everywhere. Spacious rooms and bathrooms, with a big balcony and lounge. Really great breakfast. Amazing room service food (very cheap too). Less than 100m walk to the beach for a stroll, and a few steps away from the main street of Patong. Large pool in a nice setting as well with poolside service. Perfect. Breakfast was good and prepared with quality ingredients. The location and the design of the hotel was nice. Our room was clean and fine enough. 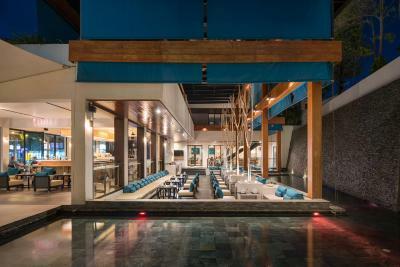 X2 Vibe Phuket Patong Hotel This rating is a reflection of how the property compares to the industry standard when it comes to price, facilities and services available. It's based on a self-evaluation by the property. Use this rating to help choose your stay! 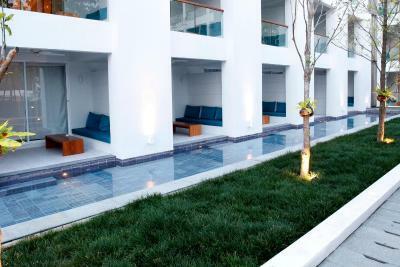 One of our top picks in Patong Beach.Just 800 feet from Patong Beach, X2 Vibe Phuket Patong Hotel offers stylish accommodations with an outdoor swimming pool and a relaxing open space. Guests enjoy free WiFi throughout the property and have easy access to the vibrant center of Patong’s dining and entertainment district. 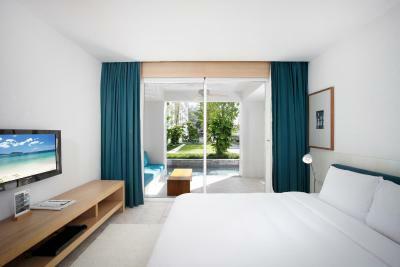 Each stylish room at X2 Vibe Phuket Patong Hotel comes with a balcony, mini-bar and seating area. 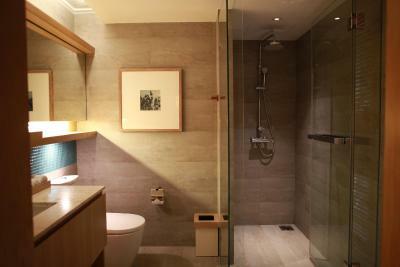 Hot shower facilities are in the private bathroom. Certain villas has a private swimming pool. 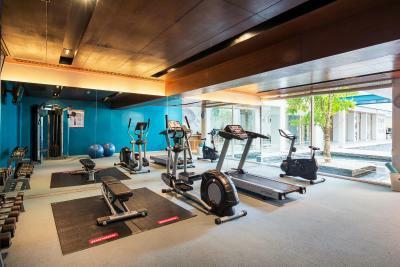 Guests can get their daily work-outs at the fitness center. For convenience, the hotel offers car rental services and free parking. 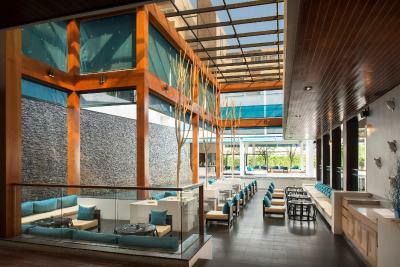 The rooftop 76 Bar serves a delicious breakfast buffet. 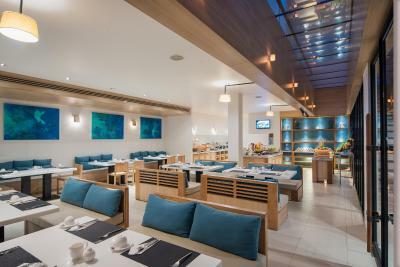 Light snacks and refreshing beverages are also available. 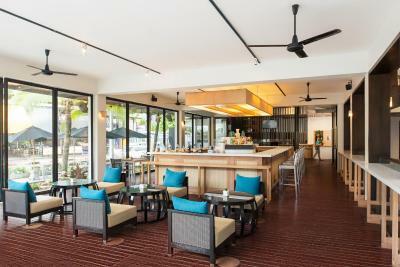 X2 Vibe Phuket Patong Hotel is a 30-minute drive from Old Phuket Town and 25 mi from Phuket International Airport. An airport shuttle can be arranged. 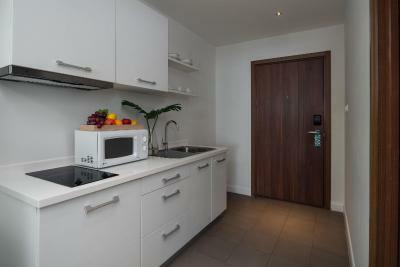 When would you like to stay at X2 Vibe Phuket Patong Hotel? 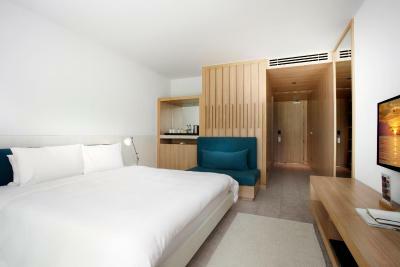 Cozy and comfortable, this deluxe room features contemporary décor. Guests can step outside to enjoy the spacious private balcony where views of the hotel's garden, the pool or a partial sea view can be seen. Soft bathrobes and fully-stocked bathroom amenities are included for your convenience. Located around a communal pool in a tranquil section of the hotel, this one-bedroom villa is facing toward the sea and is decorated with wooden floors. Guests can unwind at the spacious outdoor communal area. Boasting stylish-interior design, this superior room features a sofa area and a large private balcony for guests' relaxation. Featuring a small but well-equipped kitchen for preparing snacks and drinks, this studio room offers guests a comfortable sleeping area, a living room and a private balcony. There is a space for an extra bed in this room. 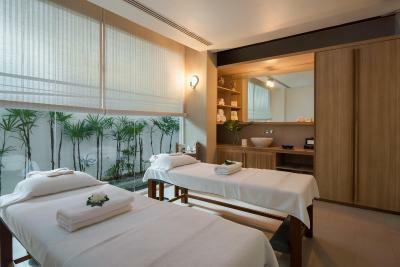 This romantic 2-story room is located on the top floor of the hotel. It features air conditioning, a private rooftop terrace with sunbathing daybeds and a balcony in the bedroom for guests' relaxation. 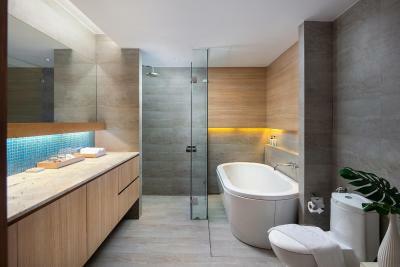 Located on the top floor, this stylish one-bedroom suite features contemporary design and beautiful sea view. Both the living room and the bedroom feature huge windows, along with a very large private balcony where amazing views over the water and the tropical scenery can be admired. 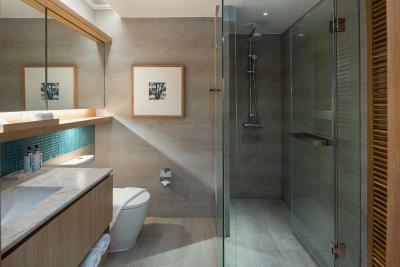 The suite also comes with a relaxing bathroom with bathtub and separate shower. 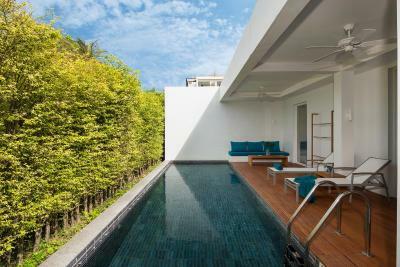 This stylish two-bedroom villa features a private swimming pool and all modern facilities. 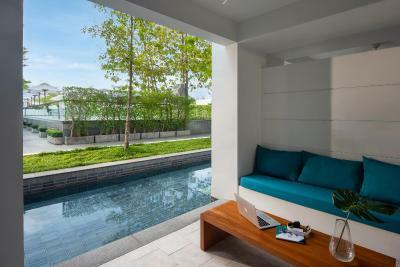 The spacious villa also comes with a luxurious living area and plenty of storage space for personal items. This two-bedroom family suite features a living area, fully equipped kitchenette and a private balcony. Both bedrooms feature queen-size beds and individual televisions for relaxing in privacy. House Rules X2 Vibe Phuket Patong Hotel takes special requests – add in the next step! 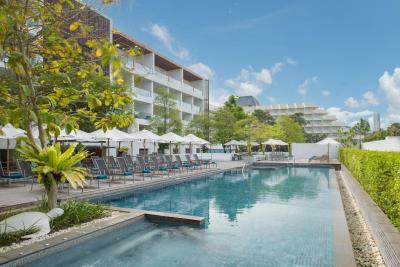 X2 Vibe Phuket Patong Hotel accepts these cards and reserves the right to temporarily hold an amount prior to arrival. Guests who wish to use the airport shuttle service must make prior arrangements directly with the hotel. Please note that the name of the credit card holder must be the same as the guest's name and credit card must be presented to the property upon check-in. If the credit card is not presented, a new payment may be required. 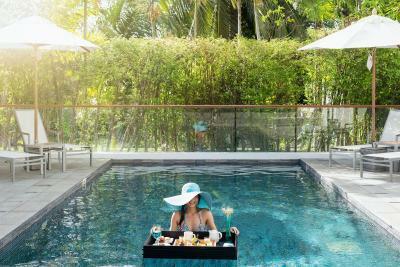 Please note that guests staying at this property will benefit from a 15% discount on foods and beverages at 76 Bar Drink & Dine and a 30% discount on spa treatments at Nam Spa. We spent there only one night and booked the family suite. When we got there we were shocked from the room that has no windows,hardly any light and in generals not worth the money or the discripcion in Booking.com. The good thing is that after we complained the staff was kind enough to transfer us to the pool vila and that was grate. Bad lighting in the shower, toilet & room. Breakfast was great- some very nice staff there. Location was what I booked. Close to beach and town facilities. Good location if you want to stay in Patong. X2 Vibe was a great location to stay in Patonga, close to the hussle & bussle, the local beach with a variety of places to eat. Room was comfy with the exception of the shower difficult to keep an even temp. Morning buffet was well worth the inclusion and overall staff were friendly and great to deal with. Staff were super friendly and helpful. Rooms were great and relatively big. 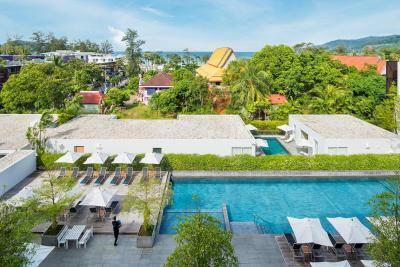 The hotel is close to the beach and to all the hustle and bustle of Patong night life, but far enough to allow you some quiet and relaxation. Hotel is a bit expensive.